Sports, pop culture and girl talk collide when Golden State Warriors sideline reporter Ros Gold-Onwude and actress Yvonne Orji keep it real behind the mic. Ros & Yvonne take time out of their busy All-Star Weekend schedules to sit down with Jemele Hill. The ladies talk success, the Obama portraits and why #WakandaForever is the new motto! Plus, Jemele tells BGM about her new ESPN gig and more. Ros and Yvonne discuss how there New Year has been so far, including a Nigerian wedding and NBA players beefing. 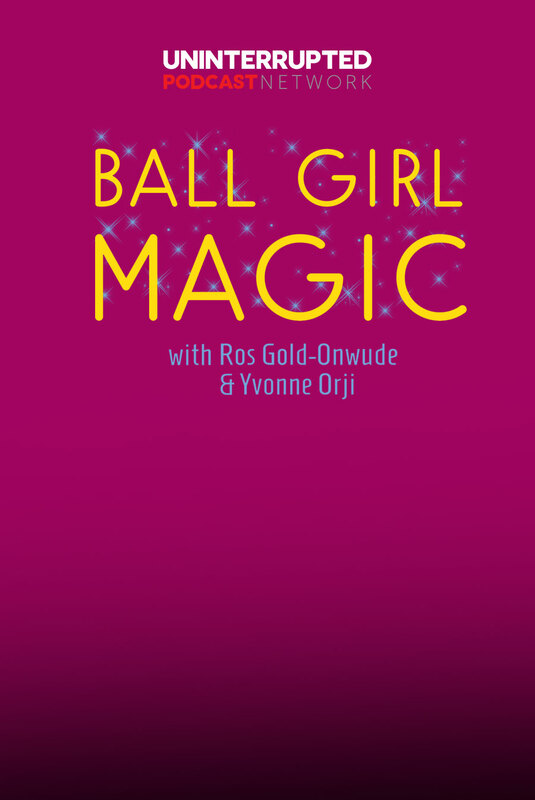 Ball Girl Magic Anniversary Special! Ros won a championship. Yvonne was featured on a couple of magazine covers. The two joined together to form podcast magic. What's next? Ros & Yvonne sit down with ESPN's Cari Champion and chat about dating, being vulnerable and financial freedom. Ros and Yvonne interview Los Angeles Sparks' President, Christine Simmons and discuss women in business, getting started in sports entertainment and putting respect on women's sports. Ros & Yvonne welcome guest, Tolu Olubunmi, to discuss understanding your culture, immigration issues and finding a husband. Cam & The WNBA. Oh My! Ros & Yvonne talk Cam Newton and his apology, dispel myths about the WNBA and Lavar Ball’s latest decision. Ros & Yvonne highlight some of the epic Black Girl Magic moments from Issa Rae, Cardi B, Bozoma Saint John and Queen Bey. What's Black Love Got To Do With It? Ros has a huge announcement! Plus, a candid conversation about dating, love and marriage featuring Kevin Fredricks (@Kevonstage), Melissa Fredricks and Codie Elaine Oliver (Co-Creator of Black Love Doc). Africa Creative Agency's CEO & co-founder Colin Gayle discusses the importance of bringing the public to Africa and tracing roots with Ros & Yvonne all while luxuriating on a boat.